Despite social media’s proven track record, there are still some companies who aren’t quite sold. Maybe you have questions about the value you’re getting from it or even the benefits of social media for your business. Whether you’re looking for some new ways social media can benefit for your brand, or trying to sell its value to the C-Suite or even clients, we have you covered. Showing people what your brand’s personality and what you stand for is one of the best ways to connect with your target audience. Social media gives you the perfect platform to do it. Through the content you share, the way you interact with your audience and your overall presence, you can showcase exactly what your brand is all about. Are people willing to choose your brand over the competition on a consistent basis? Or would they be willing to switch to another product or service if it were cheaper or newer? When you think of companies like Nike, Apple or Starbucks, you’ll notice their customers are extremely loyal and consistently choose them over the competition no matter what. Building that type of brand loyalty doesn’t happen over night, but social media can help you get there a lot faster. You have the ability to consistently interact with your audience, respond to questions in real time and build a tribe on different platforms. Curious about what drives brand loyalty? According to research from Rare Consulting, 86% of consumers feel it’s about likability and 83% say trust. Getting someone to go from a prospect to a customer isn’t always as simple and straight forward as getting them to discover your brand and then make a purchase. Instead, you need to earn their trust by initially providing your brand’s value for free. Whether it’s through blogging, free guides or other resources that educate or entertain consumers, you need to build equity with prospects. Social media eases the process because you can consistently share free and valuable content across all your profiles and earn trust over time. Social media has been great for breaking the stigma of faceless corporations that are only after customers’ dollars. These days, consumers care just as much about who they’re buying from as they do about what they’re buying. Use social media as a way to humanize your brand and showcase your company’s personality. Start by developing a brand voice. It should be consistent across all of your profiles and fit the perception you want to give about your brand. For instance, Wendy’s has developed a humorous and witty voice that consumers now associate with their brand. Since social media is on 24/7, your brand is able to keep in constant communication with customers. In a world where consumers are constantly bombarded with ads, content and marketing messages, it’s easy for your brand to get put on the back burner. With social media, you’re able to stay in front of your audience, even when they aren’t in buying mode. Social media is an excellent platform to establish your brand as an authority in your industry. Through sharing relevant content, responding to industry-related questions and being a go-to resource, you can use social media as a solid platform for becoming an authority. For instance, Tesla Motors’s CEO Elon Musk is considered an authority on energy efficiency, innovation and sustainability in tech and automotive industry. His Twitter feed is packed full of content about those topics and his opinions on the industry. According to our Q2 2016 Index, social media is people’s top choice for customer care. So it should come as no surprise that many of the top benefits of social media revolve around customer service. Here are some ways social media benefits your customer service efforts. People will talk about your brand on social media regardless of whether or not you’re active on the platform. It’s in your best interest to be proactive by using social media monitoring tools to see what’s being said. You can use a tool like Sprout Social to monitor mentions of your brand name so that you can quickly respond to customer complaints or issues. If you’re not engaging with your customers, you run the risk of losing them. According to a report from Gartner, churn can increase by up to 15% if you fail to respond to customers on social media. Struggling to interact with your audience? We wrote an entire guide on how to increase social media engagement. Don’t overlook the “social” part of social media. The beauty of social media is it provides a two-way form of communication. Instead of just shouting your message to your audience, you can communicate back and forth between each other. 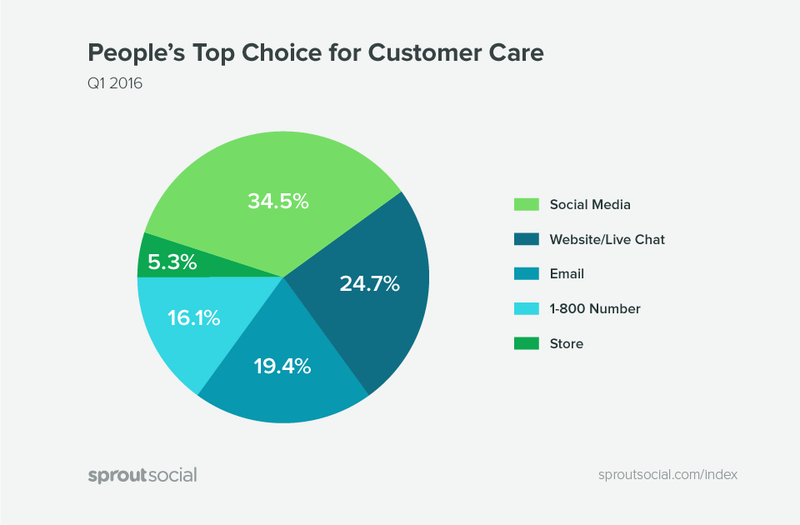 We’ve seen several new features from Twitter, Facebook and Instagram over the past couple years to prioritize social customer care. And at Sprout, we’ve added Twitter Feedback, Instagram Contact View and other features designed to make communicating with your audience easier and more efficient. PR issues can happen at any moment. Whether it’s the company CEO Tweeting something inappropriate, a controversial television commercial or a customer service fail, you need to be prepared with a crisis management plan. One of the first places people will go for information when your company has a blunder is social media. You can use Facebook or Twitter to issue a public statement or respond to questions and concerns. While in some cases, the speed of social media can work against marketers (i.e. Twitter moves so quickly your content can get overlooked), it can also work to your advantage. For example, when you’re dealing with a large volume of customer service issues, having the ability to chat back and forth in real time is very convenient. Consider a company like Trello. The project management tool interacts with over 2,000 customer service inquiries in a 24-hour period. Being able to handle that kind of volume through phone or email support wouldn’t be the most ideal experience for customers or Trello’s support team. 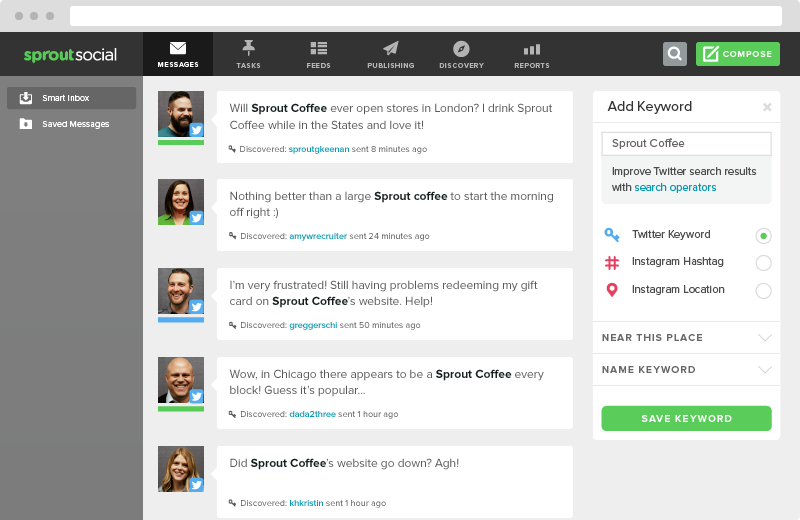 But with social media and Sprout’s engagement tools, they’re able to manage all of these conversations more efficiently. Don’t keep your customers waiting longer than necessary, or you run the risk of losing them completely. Organic social media marketing is cool, but mixing in some paid social media advertising can expand your success even more. Here are some of the top benefits of social media for advertising. As you can imagine, networks like Facebook, Twitter and others have a lot of information about users. As a result, their advertising platforms allow for very in-depth audience targeting and segmentation. For instance, Facebook allows you to target users based on interests, employers and other criteria. With this information, you can get in front of the exact type of customer you want sell to and tailor your messaging to their needs. A majority of the people that visit your website are not going to convert into leads or customers on their first visit. But instead of having them leave your site and never visit again, what if you could get your brand’s message back in front of them to get them back to your site? That’s the power of retargeting. Through retargeting, you can place a line of code on your site that tracks your visitors. Then, you can create a custom audience of those people in Facebook or Instagram and show your ads directly to them. Is social media a part of your sales process? Whether you’re a B2C or B2B company, social media can be a very effective tool for attracting new leads and moving people through your sales funnel. Social media has proven to be a very effective tool for sales team. In fact, 64% of sales professionals reported closing at least one deal in 2014 as a direct result of using social media. B2B companies can utilize networks like LinkedIn to reach out to decision makers directly and get the conversation started. B2C companies can use Twitter to answer questions from people who are on the cusp of buying from you and just need a slight nudge to get them to convert. Instead of forcing people to call and sit on hold for 30 minutes or more, consumers have grown accustom to heading to social media when they need a quicker response. If you aren’t using social media in your sales process, it’s time to start. According to data from Hubspot, Social media lead conversion rates are 13% higher than the average lead conversion rate. Don’t hesitate to leverage social recruiting in your hiring process if you want to attract the best candidates. Employee engagement is the second-biggest concern of HR Pros, behind retention. By engaging with employees and keeping them satisfied, you should start to see improvements in your retention rate. With tools like Bambu that integrate with social media, employee engagement is simple, more efficient and easier to track. Whether you’re asking them to or not, employees are likely already Tweeting and posting about your company on social media. A study from Shandwick found that half of employees post messages, images and videos on social media about their employers. Use this to your advantage and create a more formalized employee advocacy program. This will encourage more of your employees to share positive information about your brand and expand your reach. While some content will pick up steam on its own and spread organically, it’s always nice to do some promotion as well. That way you can improve the likelihood of people seeing and sharing it. That’s where social media comes in your strategy. Creating content and moving on isn’t a strategy. You need some type of distribution plan to get your content in front of the right people. That’s where social media can be very beneficial. Twitter, Facebook, LinkedIn and others are all great channels to help spread your content. You have to be careful though. Simply using social media as a way to broadcast your latest articles can be spammy. Make sure you’re tailoring your social media posts to fit the network. Also you have to regularly engage with your audience to see a positive outcome. 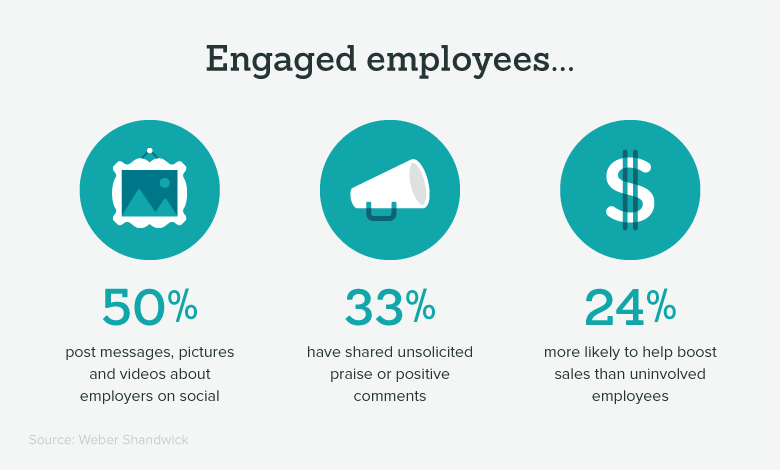 Not only are your employees willing to advocate for your brand on social media, but so are your customers. You’ve undoubtedly seen Instagram posts of people showing off products from their favorite brands. Embrace that and get involved by highlighting and even requesting user-generated content. GoPro is an excellent example of a brand that uses UGC effectively. Their entire Instagram feed is made of photos and videos regrammed from their customers. Social media lends itself to storytelling. Particularly with features like Instagram and Snapchat Stories. The goal is learning how to tell your story in a way that fits the platform where you’ll publish. You don’t want to share the exact same creative on Facebook, Twitter and Instagram. Rather than publishing a marketing message, which is essentially an ad, use social media to take your customers through a journey like Tough Mudder did in this video. While the phrase “going viral” has become overused and somewhat of a buzzword, it’s still very much a real thing. A majority of the time, social media is the fuel that makes content go viral. One person sees something, shares it with a friend and the snowball effect starts to take place. Unfortunately, there is no “secret” to making a piece of content go viral. But we wrote an article with some helpful tips that can improve your chances. We’ve looked at the benefits of social media for different pieces within marketing, but what about how it benefits your brand’s marketing efforts as a whole? Let’s take a look at the ways you can use social media to impact your entire marketing strategy. Social media is one of the best platforms for partnering up with other brands on co-marketing campaigns and initiatives. Both brands benefit from getting exposure to the other’s audience, and there’s an opportunity to create something unique. We’ve seen several brands succeed with co-marketing efforts. For instance, the beverage company Bai sometimes teams up with other food and beverage brands on giveaways and other promotions. If you’re new to co-marketing or want to sharpen your skills a bit, take a look at our walk-through to learn more. According to data from Shareaholic, social media drives 31% of website traffic. Considering the amount of content that passes through sites like Twitter and Facebook, that shouldn’t come as much of a surprise. Your brand can capitalize on this by occasionally sharing helpful and relevant content from your website. If you’re not sure what type of content to create or share, check out our guide: How to Write a Blog Post Your Audience Can’t Resist Sharing. Have you considered using social media as a part of your event marketing efforts? If your company sponsors or attends conferences, festivals or other events throughout the year, look for ways to integrate social media. A simple and easy way to get started is to use hashtags associated with a specific event. There have been several case studies performed to compare the cost of social media marketing vs traditional marketing. 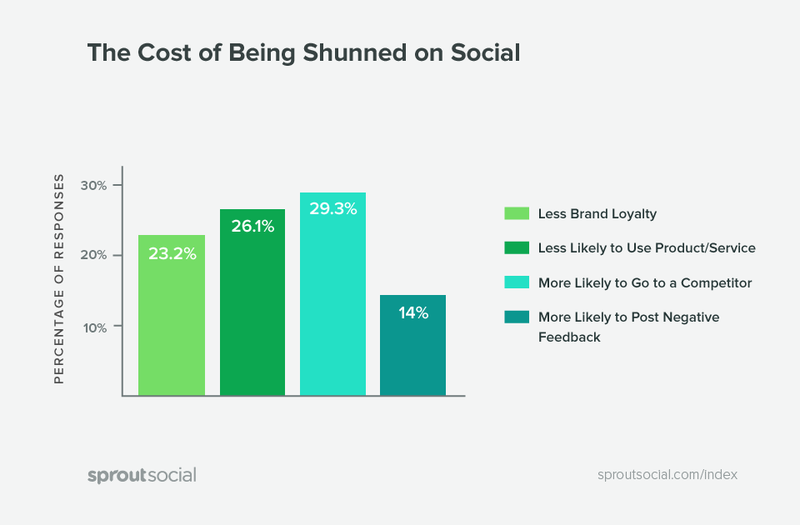 The general consensus has been social media is much cheaper. 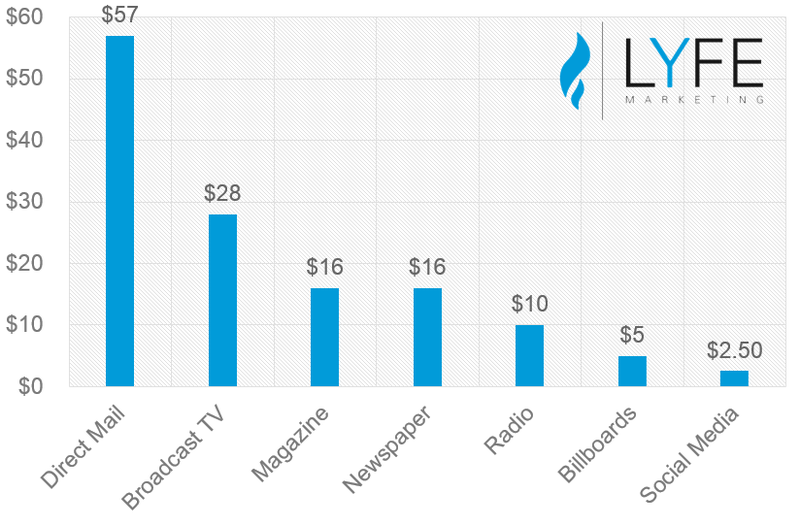 For instance, Lyfe Marketing took a look at the CPM of several different types of advertising and social media came in at the lowest—by a long shot. If your brand is looking for ways to cut marketing costs, or if you’re just on a tighter budget, social media is a great option. For more help, read our guide on how to make the most out of your social media budget. Building an audience of loyal customers and advocates is one of the best ways to grow your brand long-term. Every new customer or fan you gain is one more person that could potentially share your content or products with a friend. That “viral” nature of social media we mentioned earlier is one benefits that’s difficult to get on other marketing channels. Take advantage by focusing on sharing helpful and entertaining content that keeps people coming back for more. If you need help, here’s an helpful guide on how to get a more engaged audience on social. Hint: A lot of it has to do with the content you’re sharing. As marketers, our goal is to reach our target audience and get their attention. Right now, their attention is focused on social media more-so than any other channel. This is one of the primary reasons you should invest in social media. You have a better chance of getting a consumer’s attention on Twitter, Facebook and Instagram than you do with a billboard, television commercial or a piece of direct mail. And as we showed earlier, it’s also much more cost effective. Are you creating the products and services your customers actually want? Before the days of social media, companies had to rely on focus groups, surveys and historical data to get a better picture of what to make next. But now, research and development includes checking social media and seeing exactly what your audience says they want from your company. A great benefit of social media is that it can be used as a tool to glean insights about your audience. You don’t have to make assumptions about what you think your audience wants, or rely on your best guess. Through social listening, you can learn more about your audience than any survey, questionnaire or general statistics will ever tell you. Consumers love to use social media to share ideas and suggestions on what they’d like to see from their favorite brands. Don’t ignore or just write those ideas off—listen. While you won’t be able to act on every suggestion, you might come across one that could develop into your next great update or product release. Getting ideas from your social media followers is also an excellent way to build engagement. Nothing shows how much you value and care about your customers as much as turning one of their suggestions into a part of your company. For example, online furniture store Made.com doesn’t have showrooms across the globe for people to see how their products look setup. So the company sources pictures from customers and rewards them through the Made Unboxed community. Want to know what people think about your company? Do a search on Twitter for your brand name. Be forewarned, not everyone will have pleasant things to say about your company. The key is to appreciate the praise and compliments, and take learnings from the negative feedback. Of course, there will always be trolls and people you simply can’t please. But that doesn’t mean you should overlook any Tweets or Facebook posts that you don’t like. Social media is also a great way to gauge sentiment about new product releases or offline marketing tactics. After a new release, head to Twitter and see what fans are thinking. When Netflix releases a new show, customers flock to social to talk about it. Netflix can use all that feedback to get an idea of the overall sentiments about the show or movie. 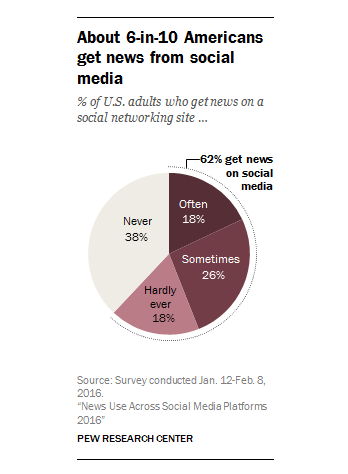 According to a study from Pew Research Center, 62% of adults in the US get news on social media. Like we mentioned, a lot of content flows through social, which makes it the perfect place to find out about what’s going on in your industry. It’s easy for brands to think of social media simply as a way to distribute content and serve their audience. But it can also be used to help your brand stay on top of trending topics in your industry. Use those findings to create new content or simply re-share it with your audience. Getting learnings from what your competition is doing on social media is extremely helpful. If your competitors see success on social, there’s probably a reason for it. Take a look at what they do and see if you can learn from your findings. Something important to keep in mind is that you don’t want to just copy competitors. Social media competitive analysis is more about learning what your competitors are doing well, and putting your own spin on it to make it work for you. For instance, if you notice a competitors’ Instagram posts in the evenings tend to do better than when they post in the morning, that’s helpful information you can use when scheduling your Instagram posts. 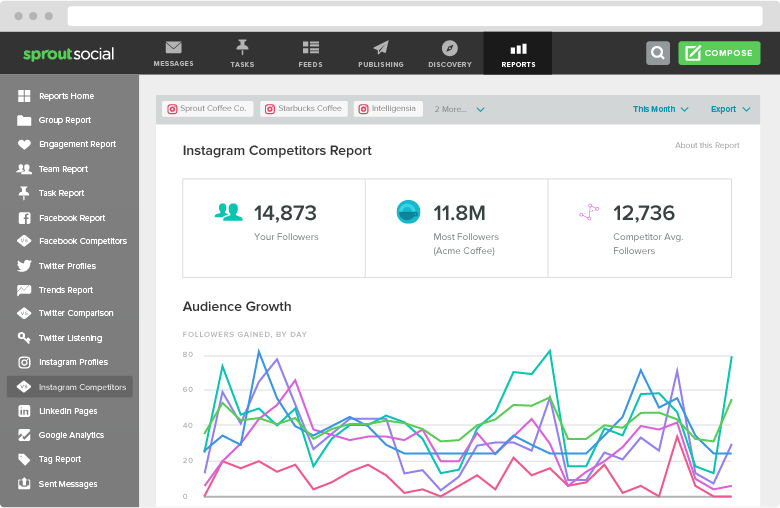 You can use Sprout’s suite of competitive analysis tools to get the data you need. Because social media is so public, you can not only see what your competitors are doing, but also who’s following and engaging with them. Then you can start interacting with those accounts. Since you already know they’re at least somewhat interested in your industry, it’s easier to win them over and introduce them to your brand. The link between social media and SEO has been heavily debated for years. While there might not be a direct correlation between your social media activity and where you rank in Google, there are definitely ways social media can benefit your SEO efforts—even if it’s just indirectly. Social media isn’t only great for engaging with potential leads and customers. You also get the benefit of interacting with influencers and people that can potentially link to your website. Use social media to build relationships with people that either have their own blogs/websites, or can potentially connect you with people who do. Keep in mind that this isn’t an overnight strategy. Just like in real life, building a strong relationship takes time. Start by focusing on ways you can provide value to the influencer first, and build from there. Another benefit of social media for SEO is outreach. Similar to the previous tip, you can use social media to directly reach out to people that could potentially link to your article from their website. The mistake that many brands make is spamming instead of doing genuine outreach. Here’s the difference. Spamming is spreading your article to as many people as possible with a generic Tweet, and just hoping one of them responds and links to you. Genuine social media outreach looks more like this. You create a piece of content and mention specific influencers within that content. Then you send out a Tweet, LinkedIn message or tag them in an Instagram post about the content so they know they were mentioned. For example, in our guide to social media for government, we mentioned several different agencies. Then we @mention a few of them in Tweets so their social team can receive a notification. The difference is that with genuine outreach, you’re reaching out to people with a very specific purpose—telling them they were mentioned within your content. That way, they have an actual reason to take a look. As you can imagine, influencers get hit with Tweets and emails asking them to read and share articles that don’t have anything to do with them. You can stand out by letting them know you’ve given them a shoutout or linked to one of their posts, so they’ll be more tempted to check it out. If you do a Google search for your company name, do you see links to your social media profiles? Hopefully the answer is yes. This is one of the only true direct benefits of social media on SEO. 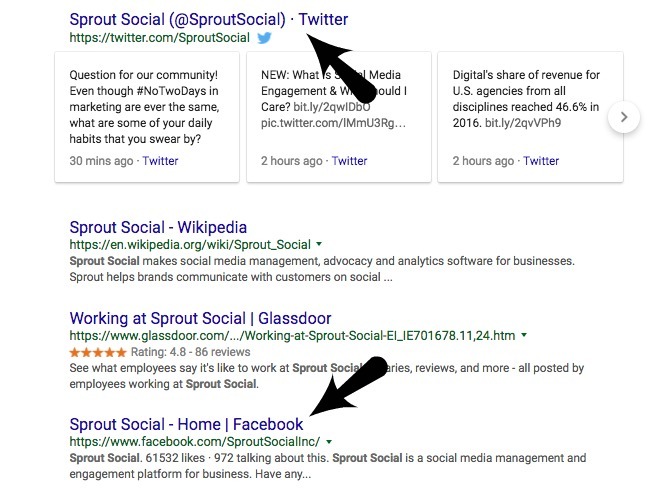 Getting your Twitter, Facebook, Instagram and other profiles to rank on the first page of search engines for your company name leaves less room for negative articles or information about your company to show up. The more space you can occupy with owned or earned media, the better. If your social profiles don’t show up when you search your brand name, work on optimizing your bios. We have guides on how to do that for Instagram and Twitter. In order to get people to to link to your content, they have to know about it. In addition to direct outreach, just getting content to spread organically is a huge benefit of social media. Journalists, bloggers and other people with the potential to link to your site (aka Linkerati) are constantly on social media looking for new ideas, industry trends and topics to write about. If you have an article that gets popular on social media, it could potentially find its way to a blogger that’s willing to link to it. As you can see, there are more than enough benefits of social media to make it worth your while. If you’re not on board yet, hopefully this list convinced you. How has social media benefited your brand? Leave a comment or Tweet us to let us know!